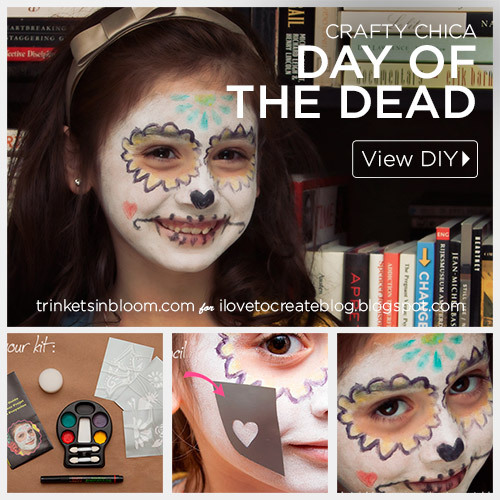 Get ready for Day of the Dead with this fun and easy to use Crafty Chica Face Paint Kit. 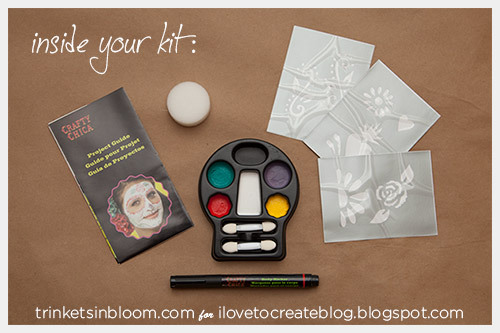 Inside your kit you’ll have everything you need to turn your face into a cool Calavera for Day of the Dead. This is a great kit to use on kids, if you can get them to sit still. Let’s get started! 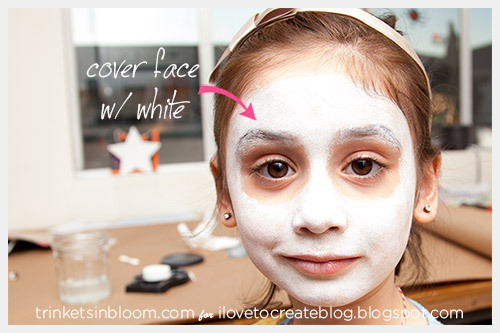 Using the sponge applicator and a little water cover your entire face with the white makeup. This may take a couple layers as it goes on very thin. 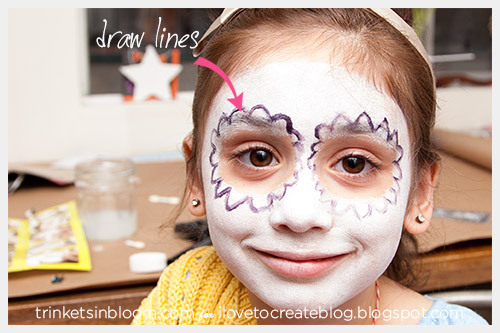 Draw designs around the eyes using the body marker. Make sure to let the white paint dry before using the body marker. This will make it easier to get dark lines. As you can see in this photo, I tried to use the marker when the white makeup was still a little wet and the marker didn’t work so well. Wait until the makeup is dry and then you will get much darker color. Using the small makeup applicators fill in the shapes around the eyes with the color of your choice. I used yellow around the eyes, but I found it was very light. I would recommend the red or green for this and use the yellow in more open areas like the cheeks and forehead. 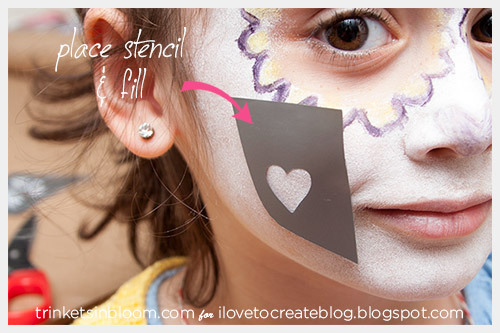 Use the stencils to create the shapes you want on the rest of the face. Simply peel off the plastic on the front and then peel the silver stencil off the backing and place it on the face where you want it. Use the small applicators to fill in with color. Draw teeth lines, nose and smile lines with the body marker. Admittedly face painting is easier on someone who can sit still. I thought by 6 my daughter would be more still but I think with each year she more active. 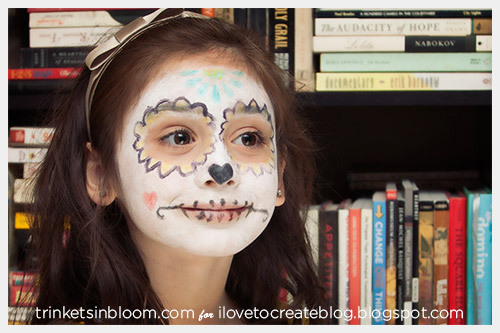 You can get more involved with your design and use the stencils to easily create flowers and swirls on your face. 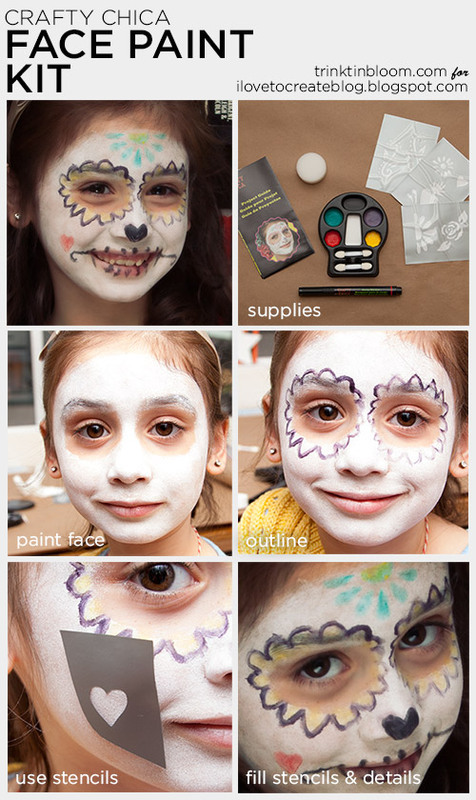 This is a great kit for kids and for simple face painting. 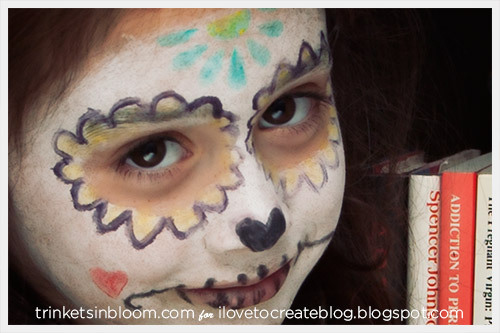 For more fashion DIY's check out my blog Trinkets in Bloom. Wow!!! 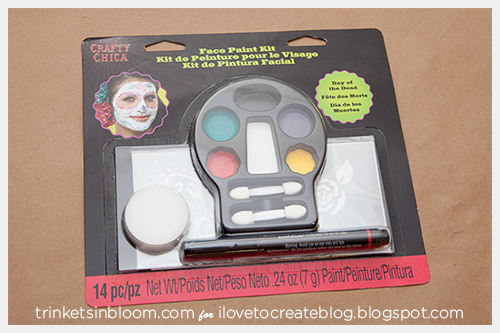 Great kit for face painting. 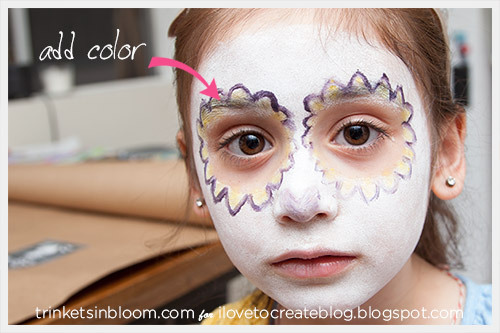 The girl is looking so cute cute with face painting and it is so easy to use. The photo booth rental Toronto is quite a must for any present day party or event; with us you can find the best of photo booth tools for your parties. Apart from that we have in store for you some new and all improved Dj services Toronto accessories or tools that are sufficient enough to turn your event into a grand one.